Become and expert in the implementation of an Information Security Management System using the guidelines of ISO 27001. Participants will also gain a thorough understanding of best practices used to implement information security controls from all areas of ISO/IEC 27002. This training is consistent with the project management practices established in ISO 10006 (Quality Management Systems - Guidelines for Quality Management in Projects). This training is also fully compatible with ISO/IEC 27003 (Guidelines for the Implementation of an ISMS), ISO/IEC 27004 (Measurement of Information Security) and ISO/IEC 27005 (Risk Management in Information Security). Become and expert in Auditing an Information Security Management System using the guidelines of ISO 27001. During this training, the participants will acquire the knowledge and skills needed to proficiently plan and perform internal and external audits in compliance with certification process of the ISO/IEC 27001 standard. Based on practical exercises, the participants will develop the skills (mastering audit techniques) and competencies (managing audit teams and audit program, communicating with customers, conflict resolution, etc.) necessary to conduct an audit efficiently. 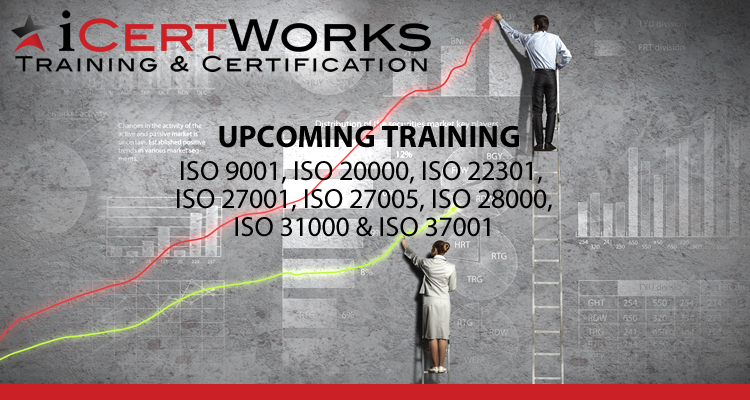 iCertWorks/SecuraStar is offering several training courses throughout the country.